Hello my lovely readers! It's been quite a while since I posted, I'm sorry about that! I have been pretty busy with work and life, as you know how that gets! 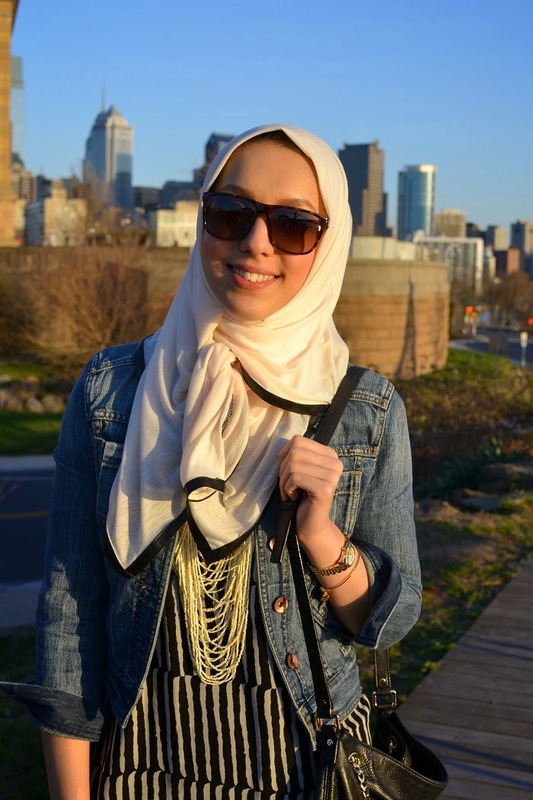 But, I am finally back and with a new hijab review! I received this jersey hijab with leather trim and was instantly in love. I recently (like a few months ago) gave in and tried jersey hijabs while I was shopping in Dubai and fell in love. The comfort of a jersey hijab is out of this world! But, to say I was thrilled when I received this hijab though, is an understatement. Anyone who knows me, knows I LOVE leather anything, and so the trimming on this hijab had me sold instantly. I love that The Covered Girl Company went above and beyond just making a standard jersey hijab and added it's own flare to it which makes it unique to them. I wore it this past weekend for a day out with my cousins, and as soon as I came out of my room, two of them asked me if they could have my hijab! 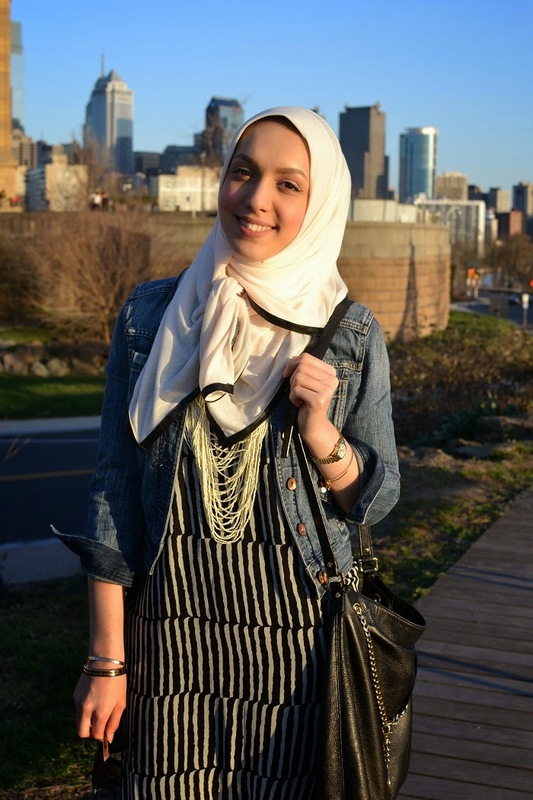 I definitely would recommend this hijab and others from The Covered Girl to anyone looking for high quality products and unique designs! Make sure you check out their website!! Kool look, love the glasses. MLB puppy garments, canine baseball jerseys and attire let you deck out your pooch previously and amid the defining moment. Player up!